In connection to the release of the BioGaia AB Interim report (1 January – 30 September 2013) Peter Rothschild, Pesident of BioGaia, as usual presented the results of the past quarter and the development of BioGaia’s business. An interview with Peter can be found on the BioGaia YouTube-channel, where he answers to questions regarding the decrease in sales in Italy and the price pressure in Poland and the risk to see the same trend on other markets. Also, the possibility of increased sales to Gerber and Fleet in the US market, the greatest challenges when introducing products in BRIC-countries, the potential of the orphan drug designation, and finally, how BioGaia could utilize its large cash position. 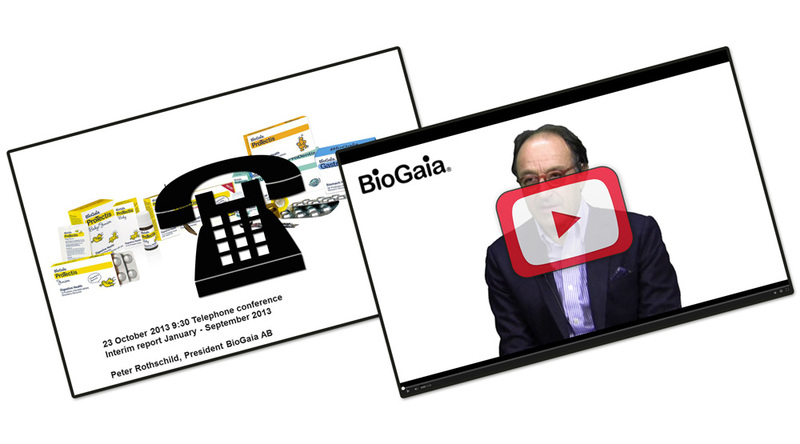 In connection to the release BioGaia also hosted a telephone conference that can be found through Financial hearings website.